#inspired by this mama maker! I get such wonderful mail from time to time, of people sharing stories about how the little collaborations that Myla and I do has affected their lives in a positive way…and I don’t care WHAT kind of cruddy day I might be having, they ALWAYS make me smile. This set of collaborations is from Charlotte Christian School, where kids in High School worked on drawings with kids from Kinder and Junior Kinder classes. Look at all the amazing things they did! 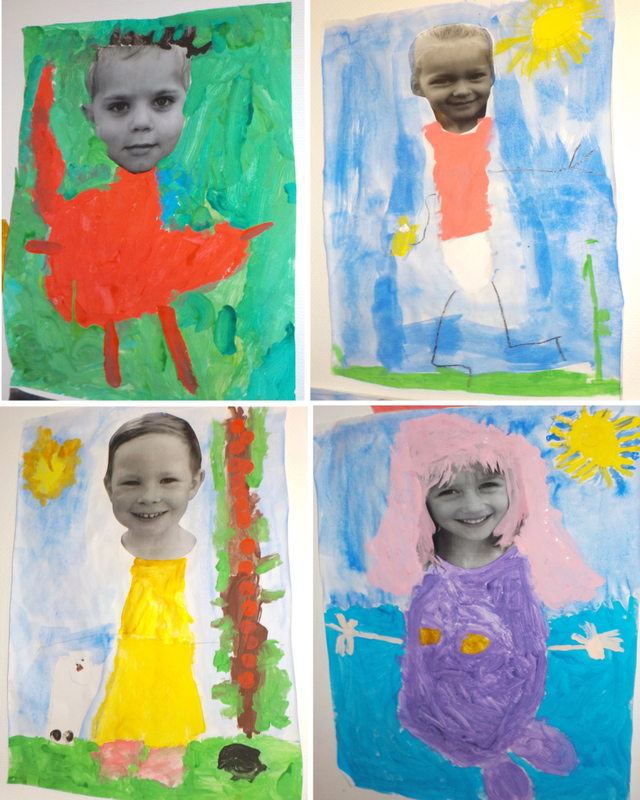 This is a small sample from a class at Sanna preschool in Jönköping, Sweden, where the teachers took photos of the kids and let them paint whatever they wanted to, after seeing the drawings that Myla and I did (thank you, Ellen, Oliviaand Benjamin! ).